Python programming, assignment and project help are offered by assignmenthelp.net. Our expert team will guide you to solve your problem and assignments. You can chat with our expert programming and tutor at any time. They are always there to help you with proper solution of your homework, project and assignment within time. What kind of Python programming, assignment help we provide? Online tutorial, documentation, online chats are some important type of service offered with assignmenthelp.net. We have online tutorial for students who want to learn Python programming. Any student can use our services and learn and do programming with Python. Introduction to Python Programming is given here with the proper explanation of code and screenshot of example. If you are facing problem with python programming code or not able to understand then you can use our service with very minimum cost. Team of expert tutor and professional are always there to help you. Students can use our services and learn python programming language quickly. 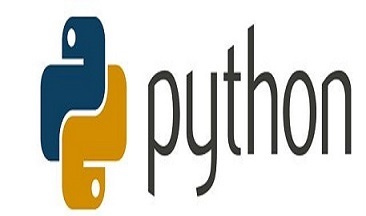 Python is a popular high level programming language used for making general programs. It was developed by Guido van Rossum in 1991. Python is an interpreted language that has a certain design philosophy. It mainly deals with code readability and the syntax allow you to create a same program in comparatively less lines than c programming or java. It aims at creating programs with a clear and distinct purpose. The system available in python is known to be dynamic and can also manage its memory automatically. It also supports various programing paradigms, including object oriented, imperative, functional and procedural manners. The system also provides the user with a pre-standardized library. Python interprets for several operating systems and create codes to run on a large range of systems. Python was developed in the 1980 while its major implementation by Guido van Rossum began towards the end of 1989. Its origin was from the Centrum Wiskunde and Informatics in the Netherlands which could handle the interface with the operating system Amoeba exceptionally. The developer of python was given the title ‘benevolent dictator for life’. A second version of the language, python 2.0 released on 16 October 2000. It had quite a many major changes as well as new features which included a cycle detecting garbage collector. It also supported Unicode. This version made the development process more transparent. A third version was also released after a long testing period of the previous two. Python is considered to be an easily readable language owing to its clear and visual layout. It does not use any punctuations throughout the code. That means it doesn’t include any semi colons or curly brackets unlike C programming. It designed in a way to have minimal syntactic variations and special parameters than C or any Pascal. It uses white space indentation to delimits parts of a code instead of the use of curly brackets. The indentation increases or decreasing depending upon the position of different statements. This feature is known as the off-side rule. There is no need of adding any punctuations and curly brackets which saves a lot of time. You don’t want to position brackets while you should be counting steps of your success. Python is a popular language and hence, you will find many guides to explain you all the details if you ever get stuck at any point while making a program. Python is a more recently developed language and therefore, is compatible with a variety of devices and operating systems. You can learn this language pretty quick as it is easier to learn compared to the other computer languages in the sphere. Python’s system provides you with a free standardized library which proves to be quite useful while making programs. Python offers an easy syntax and high readability making it easier for you to learn and remember. The design of python involves a strong integration and text processing capabilities. If you are working with Java script by default, then there is no need for you to learn Python. Meta programming is not possible using Python since its anonymous functions called Lambda’s become a huge liability. The use of concurrency and parallelism doesn’t work very efficiently with python. Most of the users complain python to be a slow language. The documentation of the system is not as useful as it should be. Being a recently developed language, it might not be compatible with devices dating to before it existence. Variables in the outers scope cannot be modified. Python can be used to make image and graphic designing software such as Inkscape and Paint shop pro. Python is an integral part of high speed electronic devices which are used for processing scientific data. The modules, libraries and certain special features of python make it an ideal pick for developing games. Several web applications and frameworks process and work on the basis of python. The modules and libraries allow content management and interfacing various Internet protocols. Being an easily readable and customizable language, python is quite lucrative for business and enterprise applications. Distribution of Linus systems is almost not possible without python. The design structure of python and its biggest assets, namely, libraries and modules, have become quite influential over other currently developing computer languages. If you are a beginner, it doesn’t matter much since you wouldn’t take much time getting hold of python owing to its easy syntax and high readability. In today’s world, numerous web applications are coded in python and that makes it even more necessary for a programmer to know this language. If you are aiming to get into the field of computer security systems, python is a must for you since almost all web security related programs are initiated using python. Python is known to be still developing and hence, it may gain even more popularity and applications in the near future.